Nothing is constant in this world. Whether in life, relationships, or material things, those that stagnates are forgotten and lost with the passage of time. It’s even more obvious when it comes to technology. As newer models are released each year, older technologies are rendered obsolete and its value significantly goes down. But it does not mean you should not care for your devices even when they are no longer the latest gadgets to hit the shelves. You don’t necessarily have to throw away your computer after a year or two of using it. You just simply need to upgrade it to protect your device from all those annoying bugs and quirks that have been bothering you for a while. Slowing down of systems? No problem. An upgrade can help you out. By simply building on it, improving, or upgrading it, your computer or laptop can last for years without needing special attention, and avoid any kind of damage to your files and drive. There’s no need to spend a lot of money when a simple and routine upgrade can solve most of your tech problems for you. Are you one of those people who ignores prompts to update your Windows system? Well, Friday’s massive international cyberattack may give you the best reason of all to hit “update” when prompted. These upgrades are here for a reason. Just like with smartphones, these upgrades show off better features that can make your life so much better. The NHS has been ordered to upgrade its outdated computer systems within ten months, as disruption from the largest cyber hack in its history continued to drag on. Operations have continued to be cancelled and patients turned away from hospitals and GPs by services forced to rely on pen and paper on Monday, while the security crisis was tackled. Large swathes of the NHS have been paralysed by the cyber attack, which hit more than 200,000 victims in 150 countries around the world. Upgrading computer systems will not only improve the way your system works but likewise reduce its vulnerability to succumbing to cyber hacks or viruses. The biggest tech headache these days is ransomware. Big organizations like the NHS or even private enterprises got the bug and business was temporarily put on hold as computers can’t be accessed in different places all over the globe. The NHS has been criticised for its reliance on outdated computer systems, which are more vulnerable to hacking. One in twenty NHS devices runs on Micosoft XP – an operating system which is 16 years old and is not serviced by the company. It comes amid reports that Google received medical records of 1.6 million NHS patients on an “inappropriate legal basis”. Saying that the Windows XP OS is outdated is an understatement. For an organization as big as the NHS, upgrading their office system isn’t just a practical thing to do but a wise decision as well considering that patient’s files are now on computer and succumbing to ransomware, for instance, can affect thousands of lives. While there’s already a kill switch to the bug, numerous reports still claim that many hospitals still can’t use their computers and it has delayed medications and treatment big time. 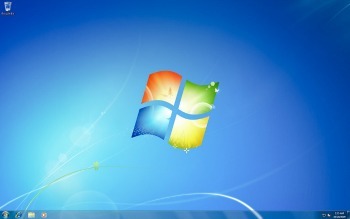 Shipowners should update their onboard computer systems to the latest Windows operating system, if they are on Windows XP for instance, to avoid viral disruptions. They should also consider upgrading satellite communications with VSAT and a smart communications module, such as Speedcast’s Sigma Gateway. Navios group IT director Katerina Raptaki explained that most of the computers on ships it operates are updated to the latest operating systems. “We have spent a lot of money and human resources to update our onboard computers to the latest Windows as it expands the possibility of the resources,” she said at a seminar co-hosted by Riviera Maritime Media and Speedcast. Even though it is beneficial to upgrade computer routinely, it is not always the easiest thing to do especially if you have tens to hundreds of computers to be upgraded at a time. But despite the odds, you should seriously consider it because the repercussions can be severe if you suddenly find yourself the victim of the latest cyber attack. We now know how vulnerable computer systems are to modern hacking especially that many are still running on Windows XP. This can all be avoided if you make the upgrade to the latest OS version. Not rocket science at all. Beneficial as it may seem, it helps to know both the pros and cons of making such an upgrade, say to a Windows 10 perhaps. Check out this article: https://harddrivefailurerecoveryblog.wordpress.com/2017/05/17/a-hard-blow-for-microsofts-windows-10/ to read about the other side of a Windows 10 update you rarely hear about. At least you were well-informed of both sides of an upgrade before actually doing it. Next Post Can Your Religion Save You?